The following are some examples of general templates for Golf Flags indicating the optional location of various layout elements such as sponsor name, event name, hole number, pole hem, heading and grommets, and graphics. If you have developed your own layout for your golf outting event or tournament, we can customize the flags with specific sponsor names or logos. 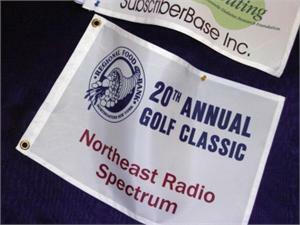 Customized sponsor golf flags are a useful fund-raising tool. If you have developed a custom layout, we invite you to email it to us for pricing including customization. Vector based files are best suited for this purpose. 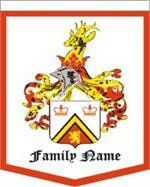 We can produce any quantity, quickly at a very competitive pricing.